WOW! what a great photo of a Town car in the country. I do not know how to properly identify the different years of early cars so what year would this be? Also does the fellow standing by the car have two medals on his vest? Right hand drive. The acetylene generator is the same one on my '10 but otherwise the picture is not clear enough for more detail. 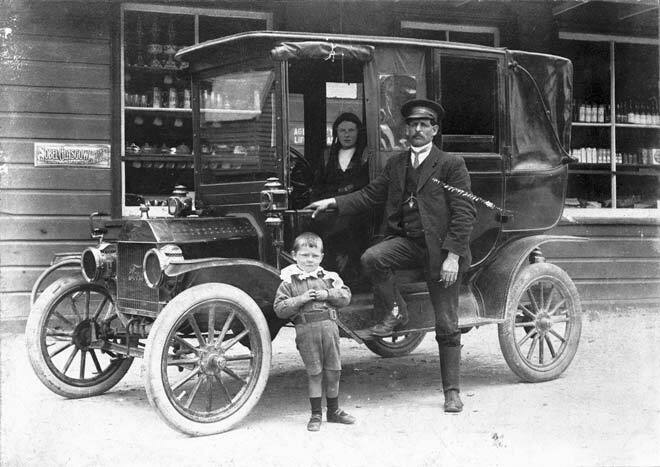 It appears to be a 1912 Town Car built for export to the UK. Great photo! 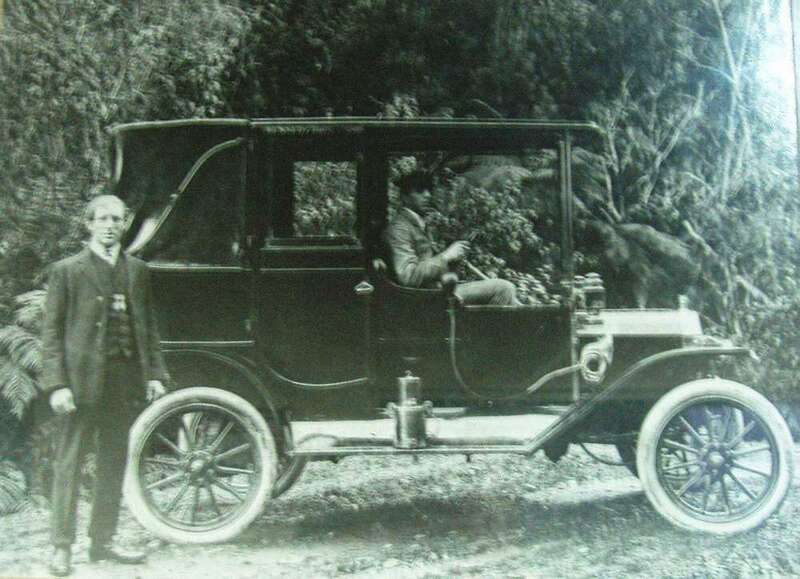 I think this may be a New Zealand photo - if I have the right connection, the two chaps are brothers and the car was the taxi they operated, the first taxi in one of the major towns on the West Coast of the South Island. As is often the case with old photos like this, do we know that the photo isn't reversed? *shaking my head* You got me, I definitely laughed when I read that. As I look at it some more, most likely it is correct, the gentleman on the left has the buttons of his jacket on the correct side. Or by the medals (?) on the (L) side of the man's vest standing at the rear? Well Andrew it could be the same car. The car at the top of the thread appears to have an E&J carbide generator and the car in the picture you posted a link to looks like it has E&J headlights and sidelights like the one in the first picture. Since each picture is taken from a different side those are the similarities I can see, other than both photos are of a towncar. It may not be the same car. Herbert McGlashan and the Kennedy brothers apparently operated taxis in Greymouth. Note in the top photo above there is sign writing above the rear window. In clearer versions of this photo you can make out "Kennedy Bros..." The second photo is McGlashan's car. Unless he sold it to the Kennedy brothers (or the Kennedy brothers sold theirs to him), I think there were 2 towncars in Greymouth.